How to start with next to nothing in cash and build up from there? I am just starting my journey to the concept of making money when you buy. Can I get more examples of what can be bought to use this concept? Where do I learn a strategy that I can start with next to nothing in cash and build up? The short answer is that you need a source of cashflow. … if not a high-paying job, then a second source of income. I like the idea of starting an online business ‘on the side’ and reinvesting 100% of the profits (a) back into the business to help it grow and, whatever’s left over, (b) in income-producing investments. The ideal investments, of course, are ones where you can get a silent partner to put up 75% – 90% of the money required. That way you can get more investments quicker. Also, when the bank puts in 80% of the funds required to fund a real-estate acquisition, and it goes up in price by 20%, you have just doubled your money (less the bank’s interest). And, the best ‘silent partner’ that I know is The Bank. But, the investments that The Bank likes the most – hence, they will lend by far the most on these – is good old-fashioned real-estate. So, I would reinvest as much of my savings as possible into real-estate, and then wait 10 to 20 years (unless my business grows really fast, in which case I might wait 5 to 10 years. Sure beats ‘working for The Man‘ for 40+ years, doesn’t it? 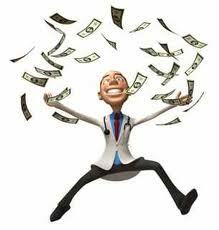 How to become a wealthy doctor? We all have this image of doctors. We believe that that they are all-knowing and well … rich. I am a young physician (early 30s) making approximately 800k per year. After expenses and taxes, I am left with ~300k to save/invest. However, I have been making ~40k for the majority of my working life and am completely overwhelmed as to how to handle this chunk of change (unfortunately I received no financial education in medical school…). Do you have any advice as to how and where I should allocate this money? I am worried about investing too much money in one source and would like to be fairly diversified. You see, right here is where doctors go wrong! 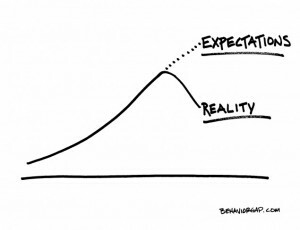 … especially when jumping from $40k starting salary. So, the first mistake that most people in this situation make is to immediately increase their standard of living. Now, a conservative person won’t increase their living standard to $120k less 10% (because that’s what the books tell you that you should ‘pay yourself first’), but the chances are that they will raise their living standard quite dramatically. The $40k quickly becomes $60k as they equip themselves with a new car and some extra furniture and a larger TV or two … then $85k as they move into a bigger apartment (with a view) … then $120k as they step into a more committed relationship and buy the house, school the kids, and so on. In other words, the treadmill has a way of increasing its speed until you forget that you are supposed to be ‘rich’. … actually, read it in reverse order (i.e. read the second article first). Then, you can tell me what you think David should do? But, if you look closely, you’ll see a small difference between this guy and the rest: this guy should have known better. … and, not just any financial advisor, he’s a New York Times financial columnist/blogger! 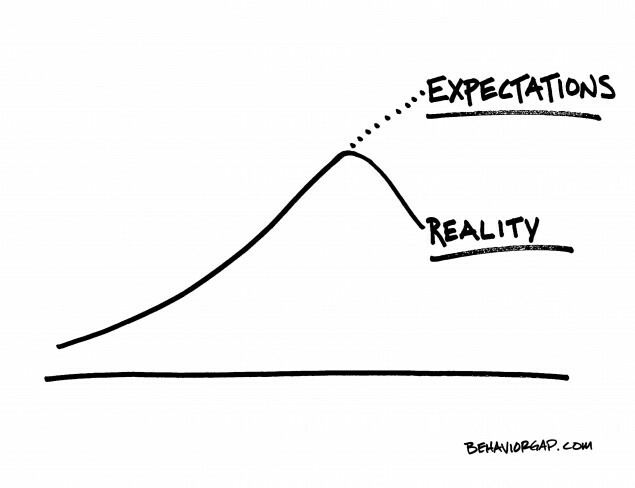 to explain how people continue to behave irrationally about money even when they know better. It’s a good indication of why a healthy approach to your finances requires much more than knowing, “spend less than you earn.” We’d like to think that building wealth is as simple as that, but if that were true, anyone who could do simple arithmetic would be financially secure over time. Doesn’t anybody see what’s really wrong with this picture? If the BEST financial advisors can lose their houses … how have the average ones mismanaged their’s … and, how badly can the worst ones screw up your life? And, would you have known about Carl’s screw-up if he didn’t come forward and tell us? I was chatting to a friend last night and was amazed at his reaction to what I had to say. Me: Did you see that article about the guy who can’t live on $350k a year? Me: Oh, some guy written up in the Wall Street Journal the other day. Him: I didn’t see the article. What about him? Me: He’s a lawyer or law professor or something who earns $350k a year and can’t make ends meet. Him: Yeah, I know people like that. Remember Elton John nearly went broke? Me: Yeah [laughs]. But, that’s not what I’m talking about. He says he can’t even afford to own a house because he lives in New York … in Queens or Brooklyn or somewhere like that … and between his taxes … I think he pays nearly half in taxes … and his rent, he is really struggling. Me: [laughs]. Yeah I guess it seems funny. But, I actually know where he’s coming from. I own my house and my cars outright. OK, I have two kids in private school, so that’s expensive. But, we struggle to stick to our $250k a year spending budget. … like NOT being able to live on $250k a year (before taxes) when you have NO mortgage, NO car payments – in fact, NO debt at all – is nothing unusual. I made $7 million in 7 years so, for me, spending ‘only’ $250k a year is probably being frugal. And, how much annual expenditure are you banking on your Number being able to produce?